Aging eyes respond to the right nutrition. 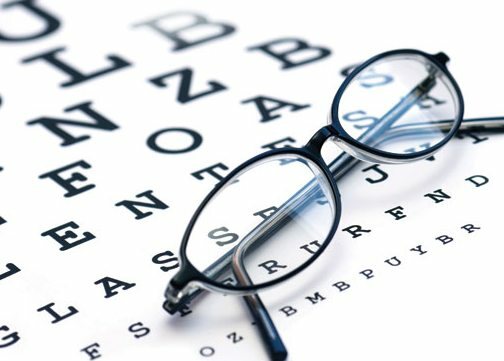 Krill oil, rich in omega-3 essential fatty acids, may not be the answer for every eye condition, but it could make the critical difference from suffering poor eye health in many cases, or even total loss of eyesight, to restoring good sight. Here are some of eye problems for which krill oil is an important part of the solution. We usually think of dry eyes as more of a nuisance than a disease, but when tear production or the viscosity of tears fail to keep the eyes moistened, serious infections can result. Even worse, failure of tears to lubricate the eyes can result in corneal abrasions and ulcers. These areas of inflammation on the cornea, the protective outer layer of the lens of the eye, can result in loss of regions of sight, or even blindness, if left untreated. Dry eye syndrome can be caused as a result of autoimmune disease, especially Sjögren syndrome (which you can read about here on the NHS website), or as a side effect of many common medications. How can you know that you have dry eye syndrome? Also, ironically, dry eye syndrome can cause excessive tear production, as the eyes attempt to moisten themselves with tears that are not sufficiently viscous, that tend to roll off the eyeball, leaving it dry. About 1 to 2% of all women in the USA suffer loss of vision from dry eye syndrome, more commonly Asian and Hispanic women than African-American or white, and 20 to 30% of all adults over 40 suffer some degree of vision impairment due to dry eyes. Omega-3 fatty acids from krill oil help restore the viscosity of tears. With the consumption of omega-3 essential fatty acids, the tears become more ‘stickable'. They stay on the eye, and keep it moist. It typically takes about 3 months for omega-3 essential fatty acids to do their work in correcting dry eye syndrome, and daily dose of 1,500 mg is needed. Macular degeneration is a condition that steals sight from the center of the field of vision, eventually causing blindness at the peripheries of sight as well. This leading cause of irreversible vision loss affects 10% of people aged 65 to 74 to some degree, and 25% of people 75 and older. There is good evidence that diet during your forty's and fifty's goes a long way toward preventing age-related macular degeneration (1). The Age-Related Eye Disease Study (AREDS), sponsored by the US National Eye Institute, found that beta-carotene, copper, zinc and lutein, are important to eye health, along with omega-3 essential fatty acids. It doesn't take a lot of omega-3's to make a difference. As little as 300 mg per day may reduce the risk of age-related macular degeneration later in life by as much as 25%. 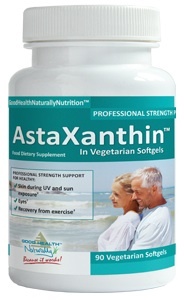 However, the nutrient has to be taken on a regular basis over a period of years. After 15 to 20 years of diabetes, most diabetics develop some degree of diabetic retinopathy (2), a condition of twisting, turning and swollen vessels in the retina, at the back of the eye, that tend to break and bleed. Left untreated, diabetic retinopathy can result in permanent loss of sight. The single most important thing any diabetic can do to prevent diabetic retinopathy is to keep blood sugar levels under control. Even after the process leading to diabetic retinopathy has begun, blood sugar control can stop or even reverse it. The omega-3 essential fatty acid DHA (docosahexaenoic acid) can prevent the formation of scar tissue that causes loss of sight; in laboratory experiments with animals, it has been shown to prevent diabetic retinopathy. The evidence for the role of omega-3 essential fatty acids in the prevention of blindness caused by glaucoma is ‘preliminary', but very clear. In laboratory experiments with animals, a combination of omega-3 essential fatty acid deficiency and high eye pressures caused damage to the nerve in the back of the eye. The higher the pressure, the greater the need for omega-3's from products like krill oil. Even when glaucoma has already been diagnosed, ophthalmologists in China report that consuming the right omega-3 supplements every day can lower intraocular pressure, slow down destruction of the optic nerve, and help preserve site. 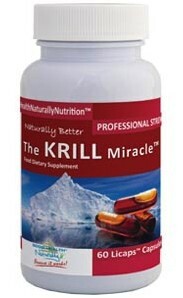 Is Krill Oil the Right Choice, if You Have Poor Eyesight? You can read, right throughout this site, about the benefits krill oil has over fish oils or any other form of omega-3 essential fatty acids. Krill oil wins every time because of its similar, but very different components, from the safety aspect (krill are transported cold from catch to production of the oil, fish oils are not), the capsules are 100% krill oil, whereas fish oils are not and krill oil gives you more omega-3 fatty acids that your body can use.